This chapter extends the ideas presented in Chap. 8 to develop discrete-time models for nonlinear deterministic systems. 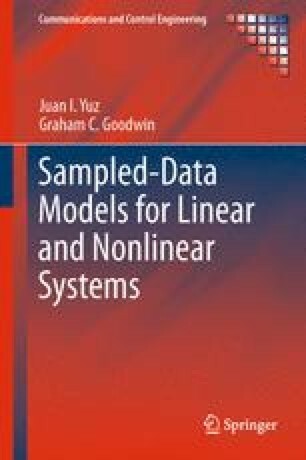 In particular, we develop sampled models based on up-sampling and on truncated Taylor series expansion of the normal form. The approximation errors are precisely characterized.